Are you looking for a setting for you new campaign? 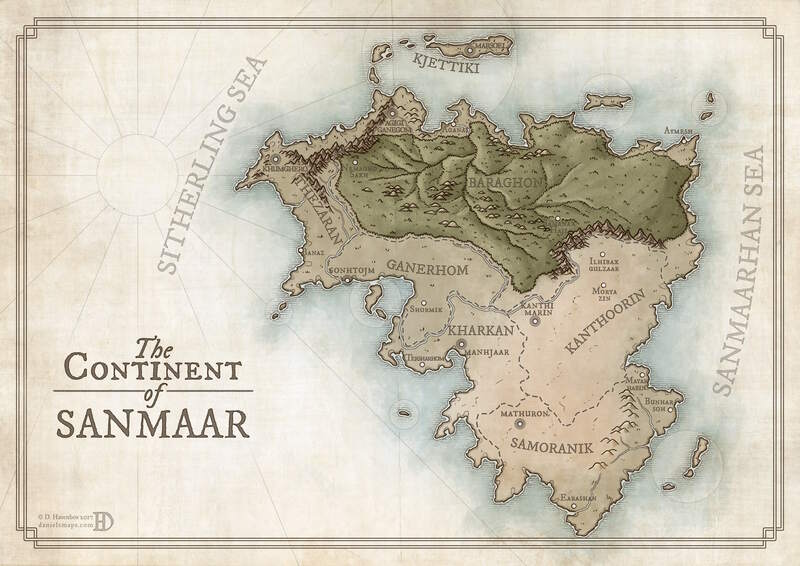 Do you need a world that’s full of locations and a variety of regions to visit in your campaign? 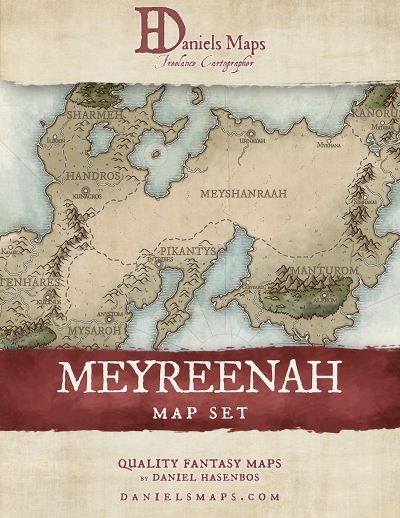 This map set offers countless options for you. Whatever you are looking for, the Sanmaar Map Set offers what you need. 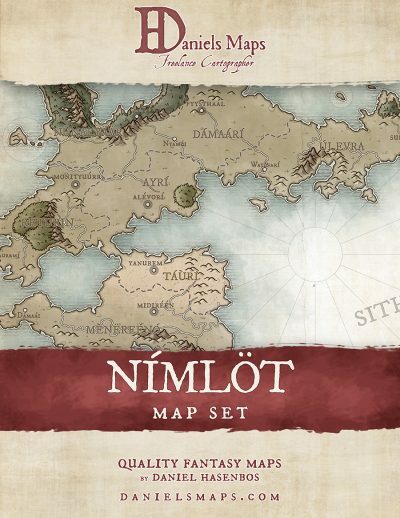 Daniels Maps are professional quality maps ready-made to plug into your campaign. 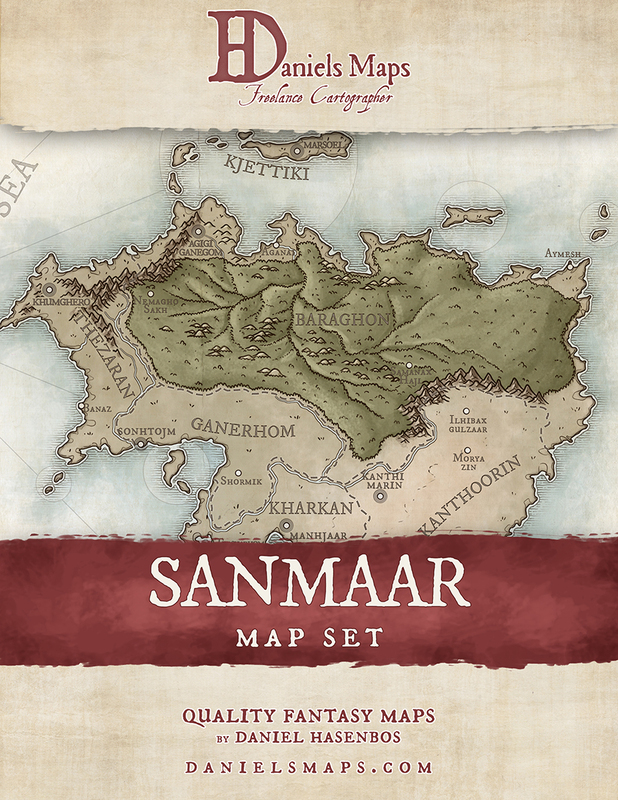 This map set features the ancient continent of Sanmaar. 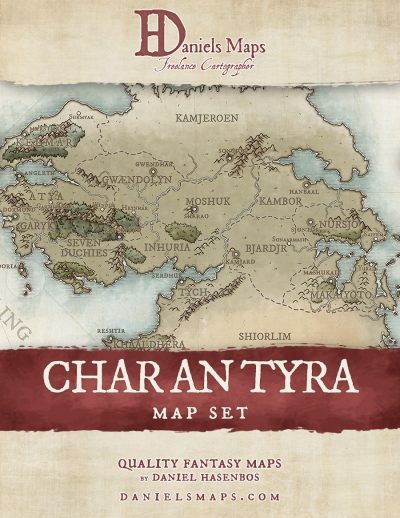 It sports a variety of regions, climates and cultures, so it has everything you’re looking for!